Be a Digital 'Fly on the Wall' to SEE how people engage with your site. 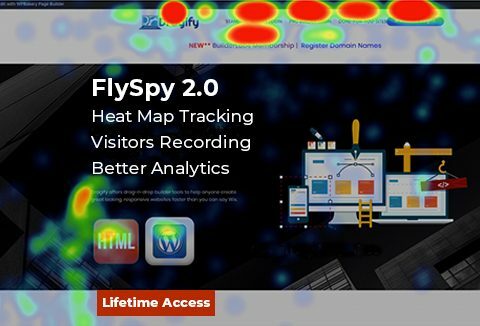 Spy on your visitors with website Heat Maps. Introducing FlySpy 2.0 revealing the hidden analytics that Google won't show you! Limited Time Offer!!! Buy now for a LIFETIME at a special discount only for DealFuel Members. Why Choose FlySpy The Heat Map Tracking Software? Ethically spy on your visitors with Real-Time Heat Maps, & Conversion Optimization that's guaranteed to increase engagement & sales. -> And with that kind of intel, you’d be able to remedy any web page in seconds. Understand how visitors experience your site from smartphones and tablets. Nearly 70% of internet usage comes from mobile devices! Google Analytics tells you where your visitors came from, and where they’re going on your website... But it doesn’t show you the hidden reasons why they’re not taking action. #1 Hidden Metric: GA does not show you which buttons, links, images and opt-in forms your visitors are drawn to, and which ones they’re avoiding. #2 Hidden Metric: Ga does not show you what’s distracting your visitors from taking action. #3 Hidden Metric: GA does not show you where to place your optin forms, buy buttons, advertising and share buttons to get the maximum amount of clicks. #4 Hidden Metric: GA does not show you how far people are scrolling down your sales page, and where they’re dropping off. FlySpy 2.0 has multiple reporting options so that you can easily view your customer data to see exactly how they interact on your site. Reports are mobile friendly too. 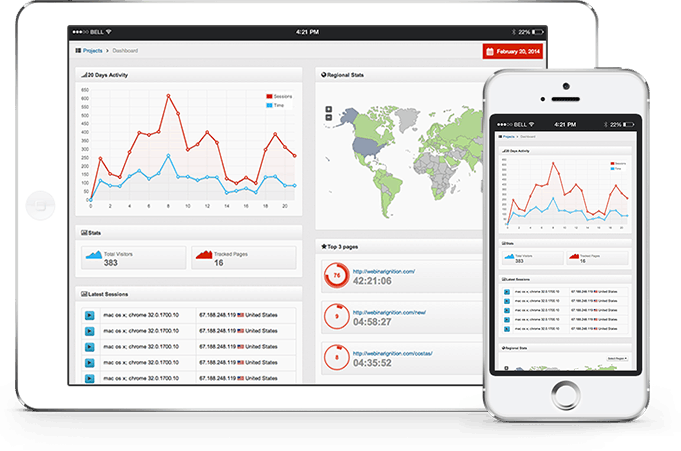 FlySpy 2.0 is an ultimate SaaS tool to ethically spy on your site visitors. 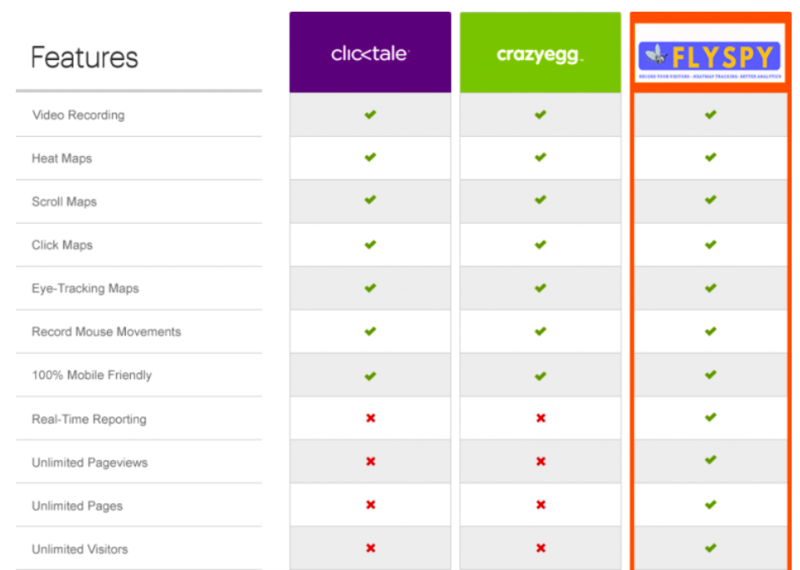 It's a complete A/B Testing and Conversion Rate Optimization Platform. Multiple Types Of Heat Maps For Precise Intel! 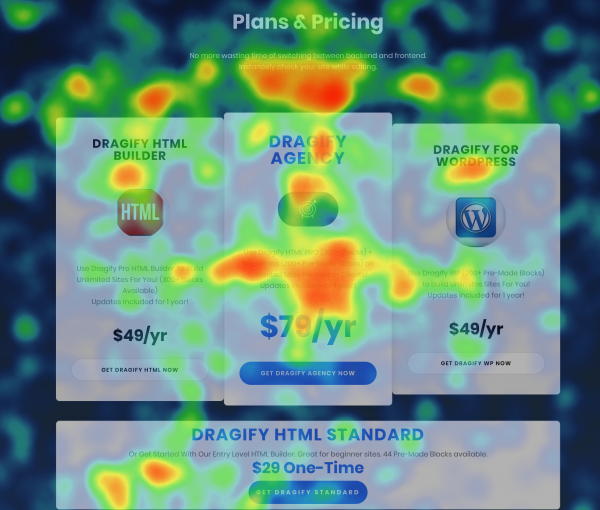 Heat Map Tracker provides accurate visitor heat maps, user-behaviour & conversion optimization for better user-experience, engagement and sales. Watch how the visitor’s eyes are drawn to certain areas on a page. Are they going to specific parts of the page you want them to? Do you need to redesign a certain element on the page to help draw their attention to it? See how far people scroll down on your site to see how far they are getting before backing out or choosing to do something else. This is a LIFETIME Plan for a single website available for $39 which is a one-time fee. It is specially customised for DealFuel available for a LIMITED TIME only. This deal comes with a LIFETIME Access. It is applicable on a single website. It is a special discount for DealFuel only for a LIMITED Time. Understand how visitors experience your site from anywhere - smartphones & tablets. We need it for more unlimited websites and not for one website… It says Single Plan for one website for life time.. but we need more than that.. like unlimited website support for life time. Let us know if you have such offers please. Unfortunately, we don’t have any such plan. The deal only supports one website with unlimited pages and page views. Can I use this deal for multiple websites or is this limited to a single website? 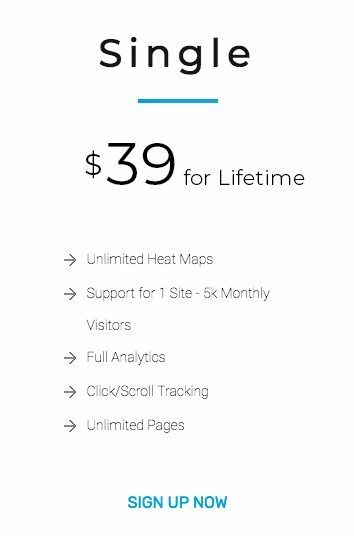 This deal plan is for a single website offering unlimited heatmaps, full analytics, click/scroll tracking, for unlimited pages with 1-year support- 5k monthly visitors. What happens if I have more than 5k visitors? The stats stop counting? Or I’ll still have stats for all the visitors, but certain features will no longer work that month? If so, which ones? The 5k plan tracks up to 5k visitors a month after that it will stop tracking or you can upgrade to a higher plan if you want. How much does it cost to receive support after the first year? What happens when my site has more than 5K visitors? does it stop tracking additional visitors, or will they try and bump me up to a higher plan? Does it have chat if the customer wants to speak with us? Unfortunately, it does not have a chat application. This is a SAAS application. What happens if I install tracking for 1 website, but decide to change to another website at some point? Is it posdible? Also, what is the cost to get 3 or 5 websites deal? Yes, it is possible for you to just delete the site and add a new domain to track. This deal does not have any plan for 3 or 5 websites, only supports one website. can I change the one website (example1.com) I track for another (example2.com) after a month or so usig the single licence?? Yes, you can just delete the first website and add a new domain to track.